Hank is a finished AKC Field Champion. Hank just needs a few points to finish his Amateur Field Champion title. Hank would make a great hunting companion for someone wanting to get a head start in field trials. 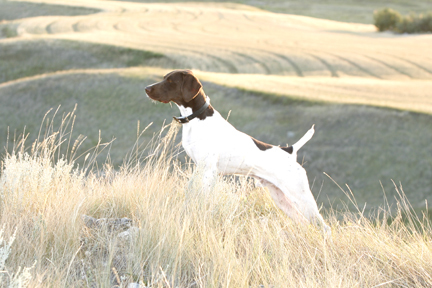 Hank is a very nice hunting dog and has been hunted from ND to mid west to GA on wild Sharptail, Pheasants and preserve birds. Hank can be your next brag dog at field trials or with your hunting buddies. Hank is a finished trained dog. He is Steady to Wing and Shot. Force Broke to Retrieve to hand.